By default a full installation of Debian 9 Linux will have the graphical user interface (GUI) installed and it will load up after system boot, however if we have installed Debian without the GUI we can always install it later, or otherwise change it to one that is preferred. 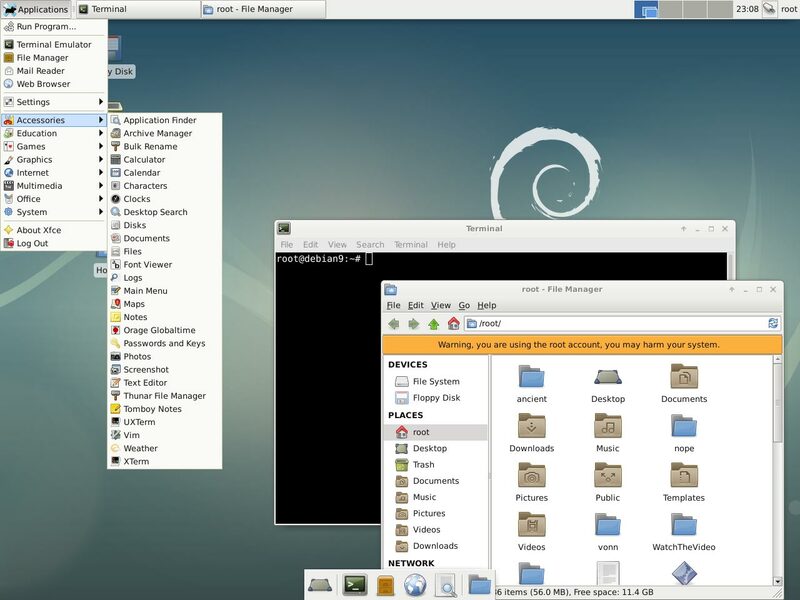 This quick guide will cover how to install the XFCE4 Desktop on Debian 9 Stretch, which will provide a GUI for working with the Linux system. While I don’t suggest using a GUI on a production server, it’s a good option if you’re using Debian as a desktop. While there are many different graphical user interfaces available for Linux, in this example we will be using XFCE. We can install the XFCE packages with the command shown below. In my installation 45 new packages were required taking up 56MB of space. If you’ve already got a display manager installed, as I do in this demonstration, you’ll be advised that only one can run at a time. 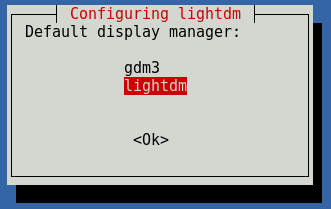 I then selected lightdm for the default display manager. 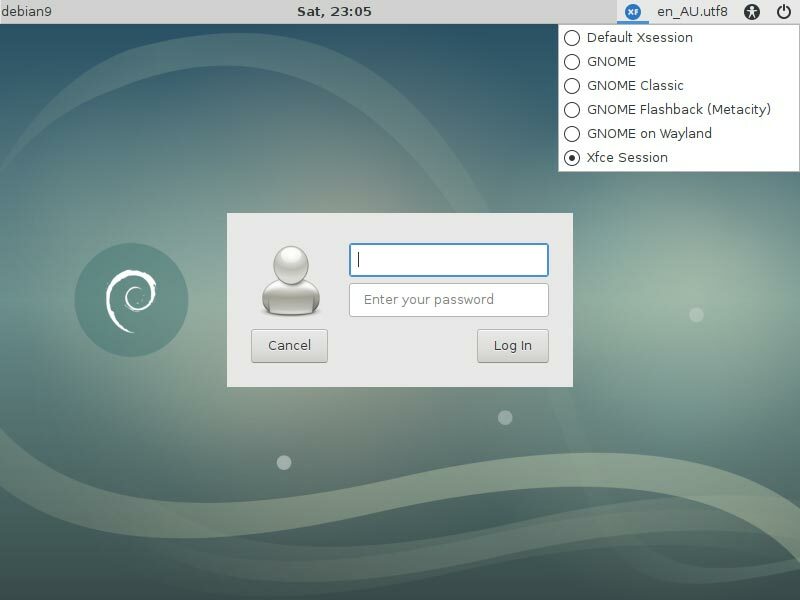 After a system reboot at the login screen, select Xfce Session as shown below, and login. 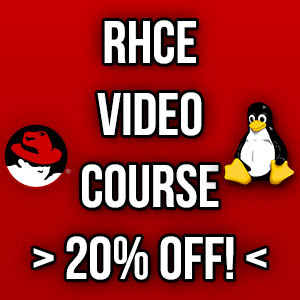 You’ll then be presented with the XFCE Desktop. 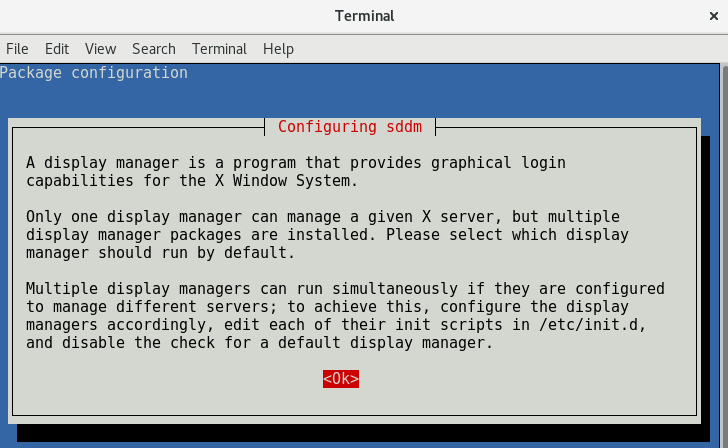 As shown we can easily install XFCE packages in Debian 9 Stretch Linux, which will provide us with a graphical user interface that can be used for managing and interacting with the system. It’s maybe too late but if you get this error message “Unable to locate package…” it’s because the repository or source you’ve chosen is not online. Never choose the repo from Texas, it always fails me. For reference, I leave an example sources list at the end of this reply. As migoda, I installed xfce4 (for me, on debian), and kde still starts up, with no option for me to choose otherwise. Ok, I realized task-xfce-desktop was not installed. Once I installed and configured that, I was able to select a login manager to launch xfce. xfce4 is already the newest version (4.12.3). 0 upgraded, 0 newly installed, 0 to remove and 40 not upgraded. what next? it’s a Debian installed from Windows store, btw. The installation won’t install the required packages into your current working directory, you can run “dpkg-query -L ” to get a list of the files from the package. I tried installing xfce4, but I end up getting dog warning ‘idconfig’ and ‘start-stop-daemon’ not found. How do I rectify this?